With both drivers' and constructors' titles decided, and with Lotus still in mourning after the death of Ronnie Peterson, there was little excitement among the teams for the penultimate race of the season. As it was, Carlos Reutemann secured his third win of the year with Alan Jones bringing home his Williams in second. 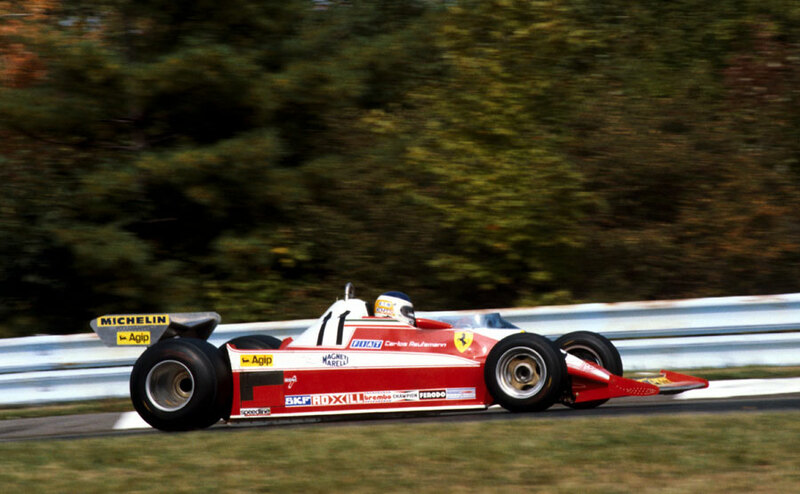 The Ferrari dominated practice on the tight, city track and Reutemann took the lead after his team-mate, the young Quebecois Gilles Villeneuve, crashed. Reutemann was pushed all the way by Jones, but his challenge ended when his front spoilers collapsed and his fuel system gave trouble. Andretti, the new champion, was driving the No. 2 car after a 135mph crash in practice. He had been waved into the pits but chose to stay out for an extra lap, but within seconds he lost his rear wheel and slammed into the guard rails, luckily walking away unharmed. He started from pole but soon suffered engine trouble which eventually forced him to retire to the disappointment of the record 300,000 crowd. Jean-Pierre Jarier, drafted in to replace Peterson, was in third when his Lotus suddenly lost power three laps from the finish. James Hunt, who had an unhappy history on this Monte Carlo-style track, suffered his third accident in as many races and his relationship with McLaren, who he had already told he was leaving, deteriorated further. Hunt petulantly blamed his mechanics for sending him out in qualifying with the wrong gear ratios, and flicked a V sign at them during the race when they tried to call him in for a tyre change. When he did come in there was a furious row with his mechanics until team boss Alastair Caldwell yelled at him he was losing places all the time. Hunt roared out the pits, running over another team's air hose in the process.